40% – that’s how much the cost to attend a public four year college has gone up in the last 10 years¹. Currently, one year of tuition for an in-state student is over $9,000 and to go out of state runs more than $22,000. Oh, and private school, you’re looking at well over $31,000 a year². Keep in mind these are today’s costs, by the time most of us with kids still in diapers or even in elementary school are crying as we drop them off at their dorms, prices could easily increase by another 60%. It’s no wonder parents are stressed out about saving for college. But before you start hyperventilating, take a few deep breaths, because you can do this! Saving for college doesn’t have to be overwhelming, it just takes a little planning. There are plenty of ways parents can start preparing for their children’s higher education expenses that are as easy as 1,2,3. I have two kids, a daughter in elementary and a son in middle school. 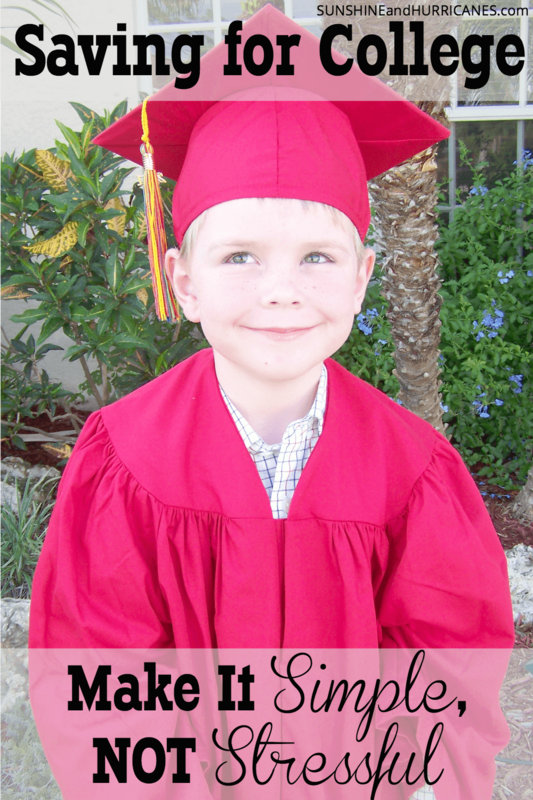 I feel like it was just yesterday that my little boy was graduating from Kindergarten and now college is just around the corner. How did that happen?? While part of me wishes that my babies would never leave my home, I know that my job as their mother is to prepare them for that big day and to do what I can to help make their dreams possible. Realistically, depending on where my kids decide to go to college, there is a good chance they’ll have to pay for part of it themselves. This could mean earning a scholarship, having a job or it might even mean taking on some debt. At the end the day, as much as I wish we could cover all the expenses, our retirement is important too. It’s going to be no good for my kids if we pay for college and then they have to support us in our old age. We’ve put a lot of time and thought into the best ways we could save for our children’s future and I’m sharing with you what we’ve learned. Overall, there were many options available that were easy to get started and definitely helped us stop stressing and start saving for college. This is one of the most popular ways parents begin saving for college, because there are so many benefits with these investment accounts. The primary appeal is that the earnings from the money invested grows tax free. Additionally, the account is in the parent or guardian’s name and therefore does not typically affect the student’s ability to qualify for financial aid. 529 accounts can be used to cover not only tuition, but also housing, books and other college related fees for any student enrolled at least part-time in any college. There is no limit as to when the funds must be used by and if a child receives a full or partial scholarship and ends up not needing all the money in the account, it can either be transferred to a sibling or cashed out. Almost every state has a 529 plan, and some even offer tax breaks for the money invested in their plans. 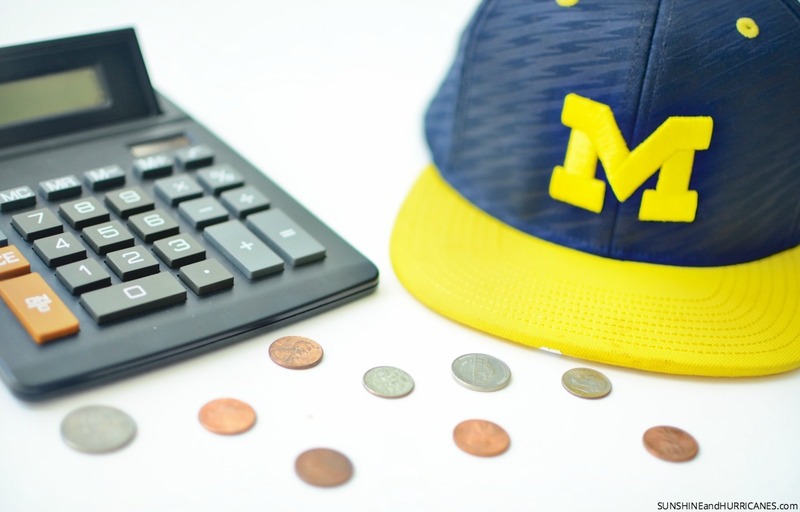 However, you are not limited to investing only in your state of residence’s plan or to use the funds from any 529 plan at a university in the state where the plan originates. Your best bet is to shop around and look for the ones offering the best returns. Okay, so these are actually just another form of a 529, but they work differently. Additionally, not every state offers these. Participating states currently include – Alaska, Florida, Illinois, Maryland, Massachusetts, Michigan, Mississippi, Nevada, Pennsylvania, Texas, Virginia and Washington. 9 other states have them, but they are currently closed to new investors. We live in Florida and we opted into this program for both our children. A prepaid tuition plan lets you lock in today’s tuition rates, for your child’s future education. You usually are given the option to pay one lump sum up front or spread it out over monthly payments. There are several limitations to these accounts. You typically must reside in the state to participate in its pre-paid plan and you are only able to use the funds at eligible state colleges or universities. Additionally, pre-paid investments will be considered as part of your child’s financial aid application. However, like a 529 if your child opts to go to school that doesn’t qualify or earns a scholarship and doesn’t need all or some of the money it can be transferred to a sibling or cashed out (unfortunately you’ll only get what you put into it without any kind of interest earned). I signed up for this program years ago after having my first child, because it was such an easy way to create extra savings with zero effort. In many ways, it was like getting paid to do things I was already doing. There is no cost to join, you simply sign up and link your debit/credit cards to your account. 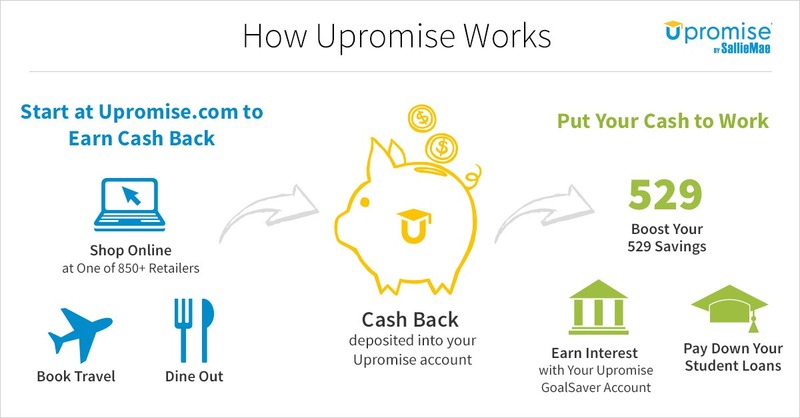 Then anytime you use the card(s) when you are shopping online,going out to eat or even booking travel with Upromise partners, you earn cash back. To make the whole process seamless, you don’t even have to worry about transferring money. You can just set-up the account to deposit the money you earn directly into selected 529 accounts to keep your savings all in one place. You also have the option to have it paid directly to a student loan payment. 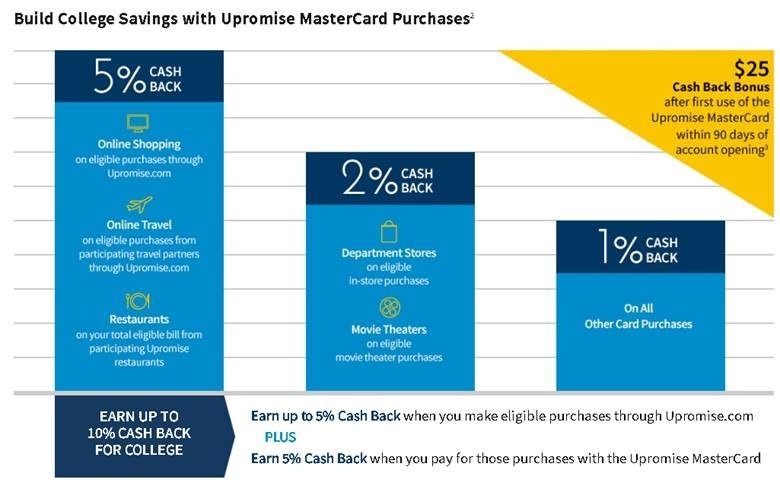 This means that you could earn as much as 10% cash back on your purchases to help pay for college for your kids: up to 5% when you make eligible purchases through Upromise.com, plus 5% when you pay for those purchases with the Upromise MasterCard. Remember those big price tags I mentioned at the beginning of this post? Well, every little bit helps! 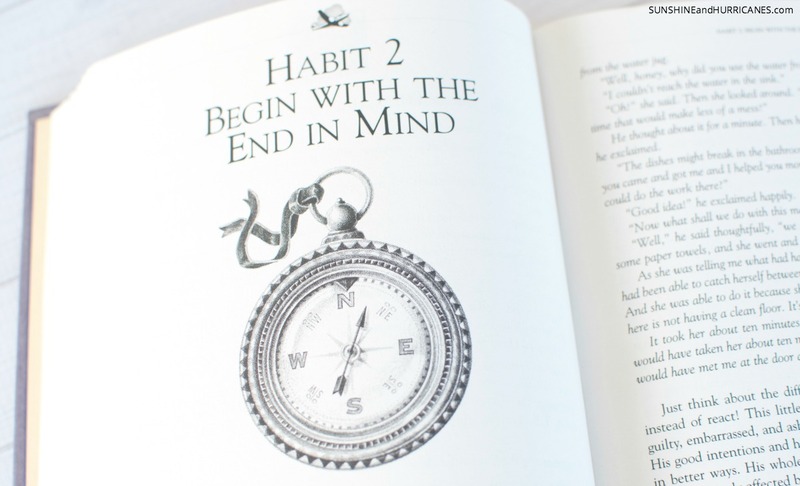 If you are at all familiar with Stephen Covey’s Book “The 7 Habits of Highly Effective People” you will already know about my favorite habit – Begin with the End in Mind. It’s applicable in so many areas of life and it is my final piece of advice for any family when it comes to saving for college. One of the best ways to save money on college is to eliminate some of the costs before you even get there. 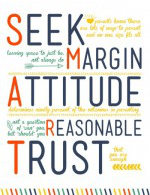 This can be approached in a number of ways. College is the end goal for many families when it comes to their children’s education. However, conversations should start early about what a family can afford as well as the pros and cons of having to take loans and other kind of school debt. Talk with students about more affordable options such as attending a community college first as well as the cost implications of staying in-state vs. out of state vs. private institutions. The sooner a family knows what the total bill for college is likely to be the smarter than can be about saving. 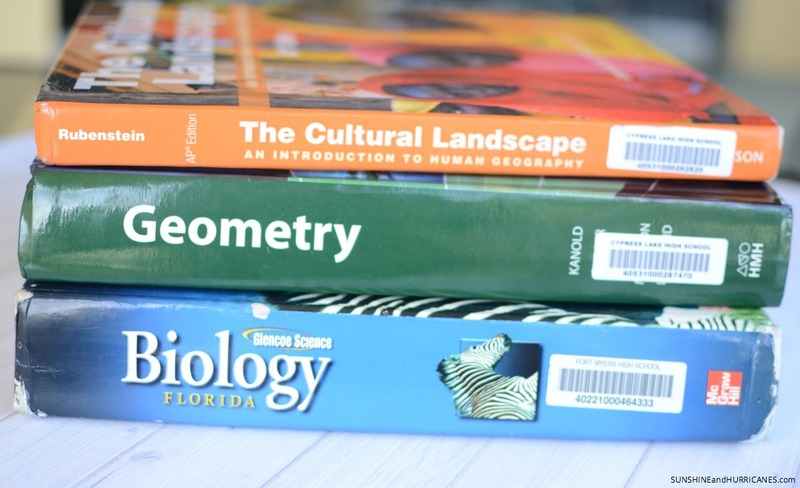 Additionally, the student can also make choices prior to ever arriving on campus to reduce the costs such as taking AP classes and college placement tests that will help them earn college credits. How is your family saving for college? The information contained herein [alternately, “on this website,” or “in this article”] is provided for education and informational purposes only, is general in nature and does not take into account your personal situation. This information is not intended to be and does not constitute financial or investment advice. You should not make any decision – financial, investments or otherwise – based on any of the information presented herein without undertaking independent due diligence and consultation with a competent professional advisor. Wow! School is so expensive! The cost of college is going up, while the value of a degree is going down. This reminds me that I have to start saving now!